Hey everyone! It's time to share some empties again and I have a whole mess of products that I finished up recently. 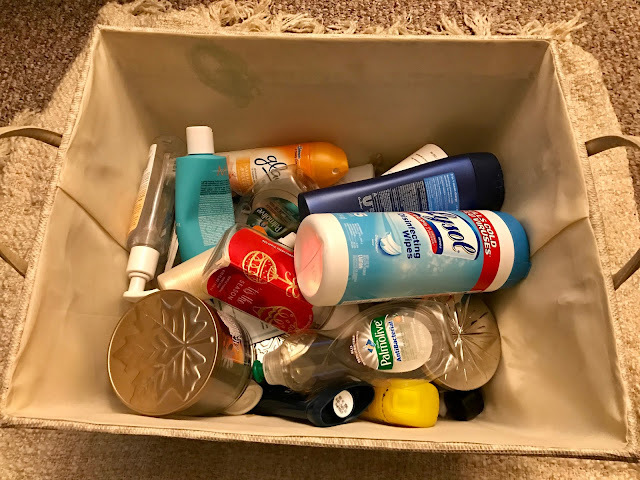 This bin sits in my closet and every time I finish up a product I throw it up there to share my thoughts with you guys. 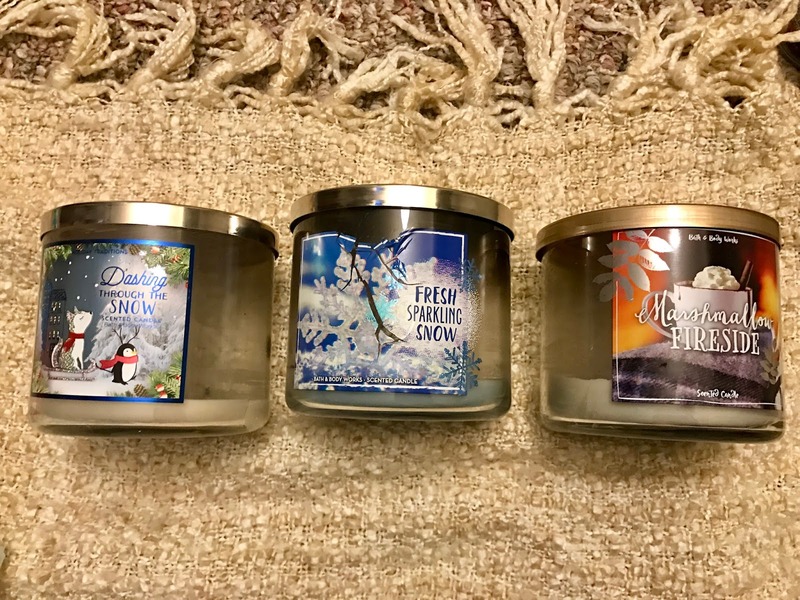 I finished up three candles and all of them were from Bath and Body Works. The first was Dashing Through The Snow which I received as a gift last year. I wasn't a huge fan of this honestly because I'm not a huge pine scent girl. I only had half of the candle leftover from last year so I figured I would just use it up. I absolutely loved Fresh Sparkling Snow it was such a sweet scent and is now one of my favorite winter scents and I have a soap and body lotion currently being used. So good! The last candle I used up was Marshmallow Fireside which is technically a fall scent but we enjoyed it just as much this winter! I would definitely repurchase this in the future because it has a nice smokey scent that Tim and I both really enjoyed. 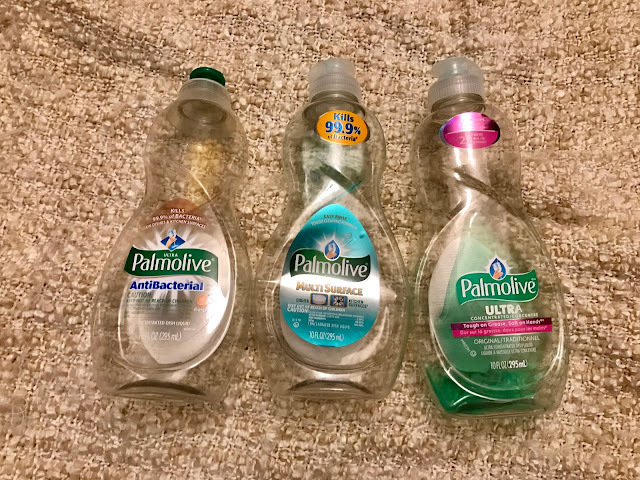 I finished three Palmolive dish soaps each in a different color. I'm honestly not too picky with my dish soaps and just use whatever I happen to get during couponing. These were all just fine, worked great and I will repurchase. I used up two household products. 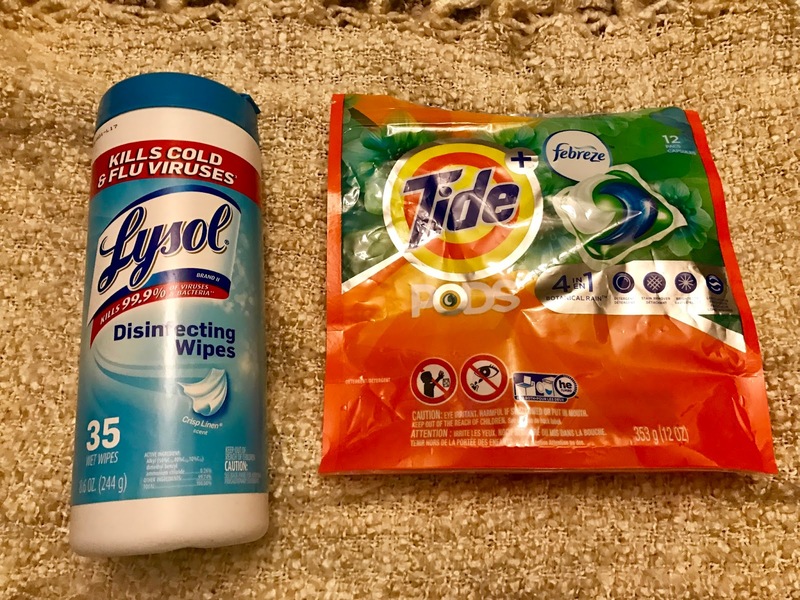 The Lysol disinfecting wipes are great to use around the house to wipe up quick messes and especially in the bathroom where you want to keep things clean. I also used up a bag of Tide pods with Febreeze. I love these! I will continue purchasing pods because they are so much easier when you are hauling clothes back and forth from the laundromat. Much easier to haul a small baggy of pods then a container of liquid soap. Tim finished up four items that he let me steal to share. The Dial Greek Yogurt was a shower gel I had picked up while couponing and Tim needed a shower gel so I gave him this one since it's pretty neutral. His response, "It was good I guess" leaves quite a bit to the imagination but he used it up so we'll take it as it being a good product. When I continued to ask him about the other products above he gave me some vague answers like "it was probably good" and "I'm not complaining about any of them so..."
For scented items I used up the Glade Hawaiian Spray which was nice, not super overwhelming. I really like the Febreeze Gain vent clip which I used in my car. I always like to keep my car smelling nice. 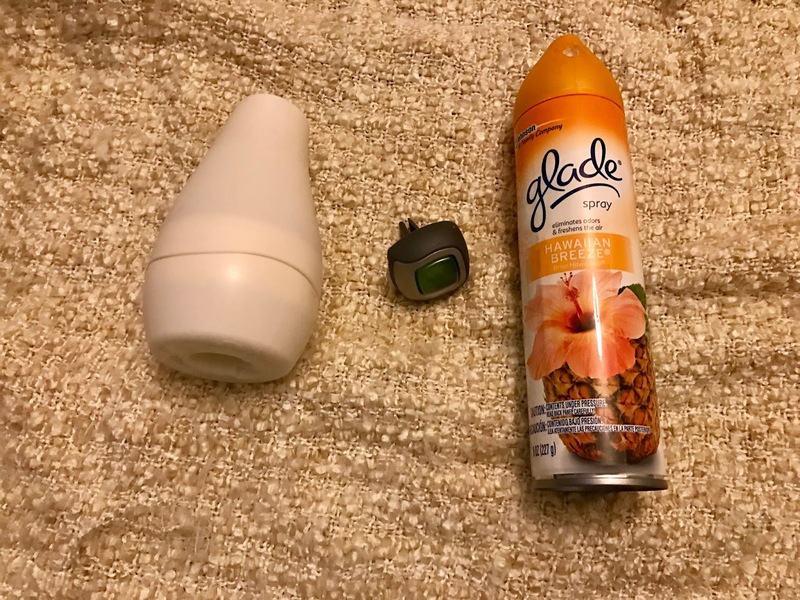 The last item was an air freshener but I honestly am not sure what it was since it has no packaging. This is kind of a random category of treatments. I received this Dior Dream Cream and it was amazing and silky and I would use it every day on my skin however I'm not sure I want to spend a ton of money on a face cream. It was amazing though I would pick another sample of it up if I could. 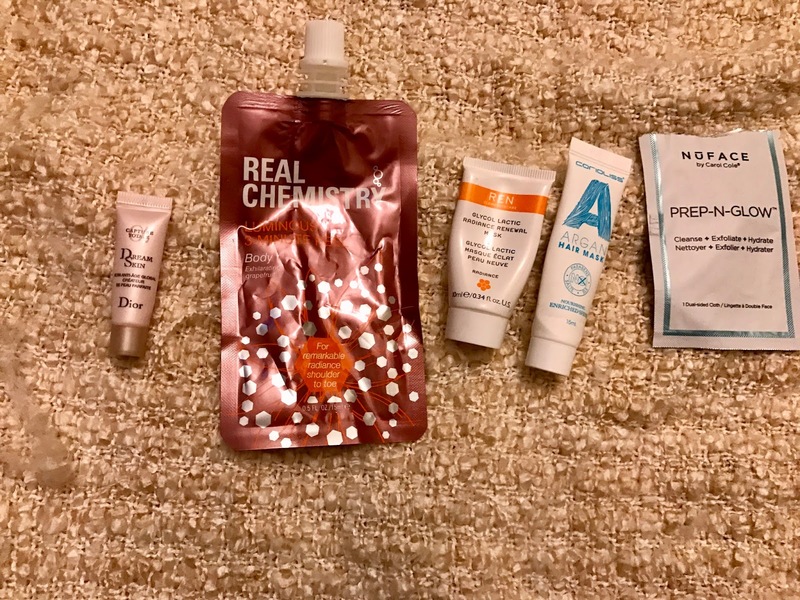 The Real Chemistry Body Mask was okay, not my favorite I don't feel like it's something I particularly need. I was happy to try the sample though. The REN face mask was okay. It was a peel off mask that I did like but I don't think it did anything too spectacular for my skin. The Argan hair mask was really nice, I definitely enjoyed using this for a change since I so often choose my Macademia hair mask, but it was nice to try something different. Lastly the Prep and Glow was okay, nothing too great! I would not purchase a full size of it because I didn't feel like it did much for me at all. 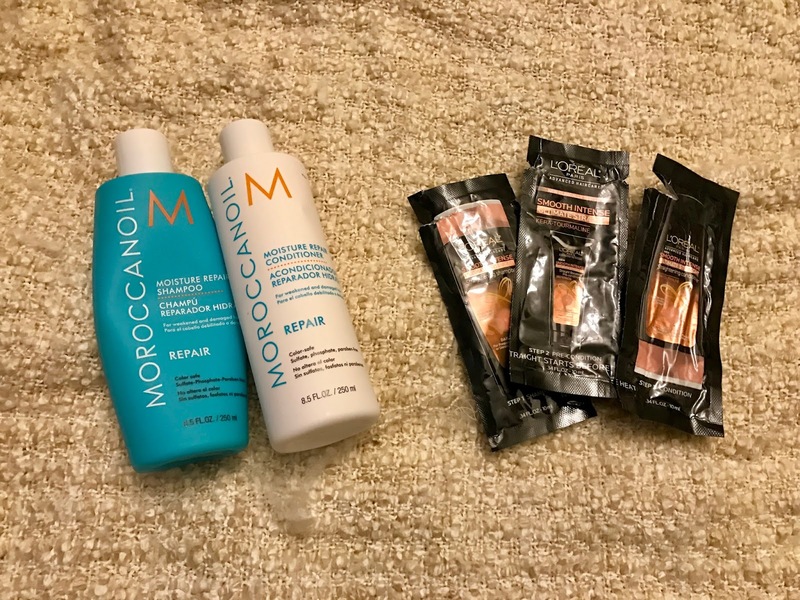 I finished up a shampoo and conditioner from Morroccanoil that I received for Christmas and absolutely loved them. I would definitely purchase them again in the future. I love that they are natural and worked great on my hair. 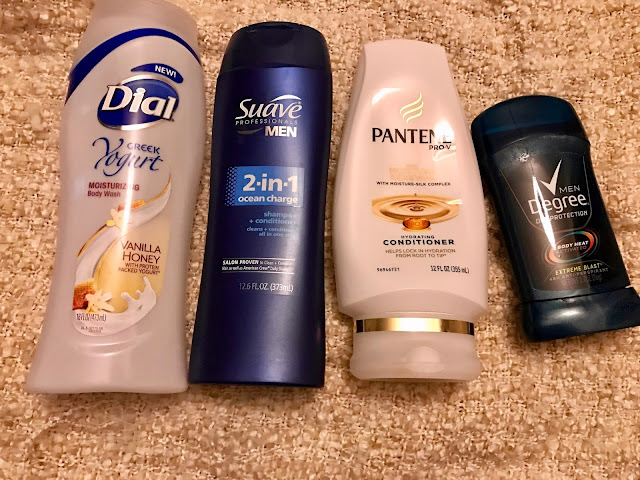 I also used a three-step sample of Loreal Smooth Intense and thought it was great as well. I would definitely purchase a full size of this as well because it definitely smoothed out my crazy hair. 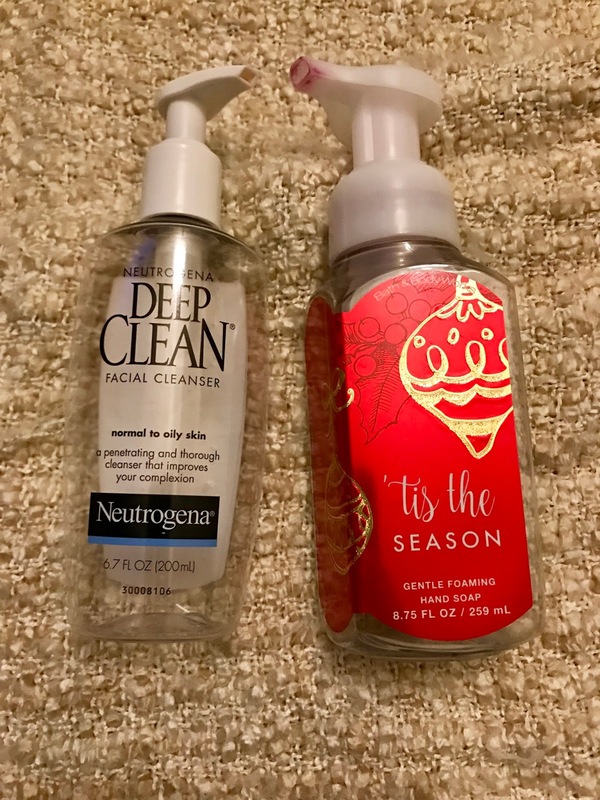 The Neutrogena Deep Clean Cleanser was okay but took me forever to finish so I was so sick of it! I don't think it did anything to help my super dry skin though so I would not repurchase it in the future. I would however repurchase the Bath and Body Works Tis The Season hand soap. This is my favorite winter scent of all time. I buy this in candles as well and always get so much use out it! I unfortunately finished up Canker medication due to some awful canker sores this past month. This Canker-x was minty but I was not impressed. It didn't numb my sore or make it better, not great at all. The Biotrue contact solution works great at cleaning my contacts and doesn't hurt my eyes so that is definitely a win. 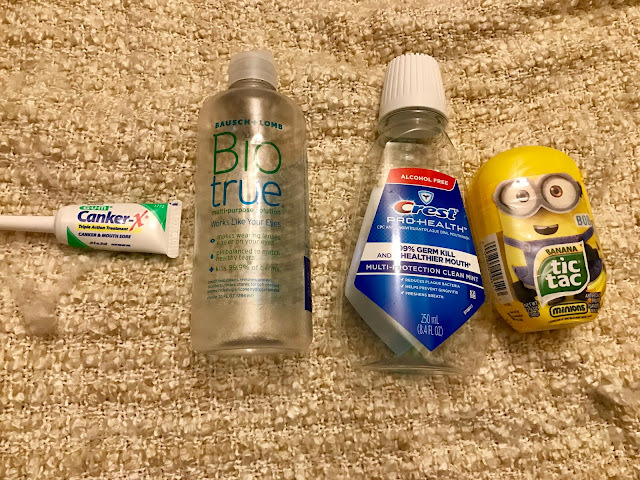 I also used up Crest mouthwash which is my favorite type of mouthwash since it is super gentle. I also ate a whole container of Minion tic tacs. They were amazing and banana flavored. This Lovespell body spray from Victoria's Secret I kept in my car forever so I decided to finally just toss it. 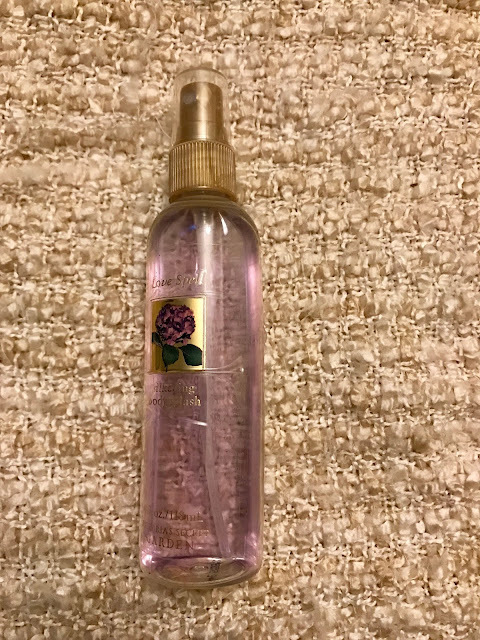 This is not my favorite scent it's just too floral or something so I definitely would not repurchase it in the future. I also have far too many scents to work my way through right now! 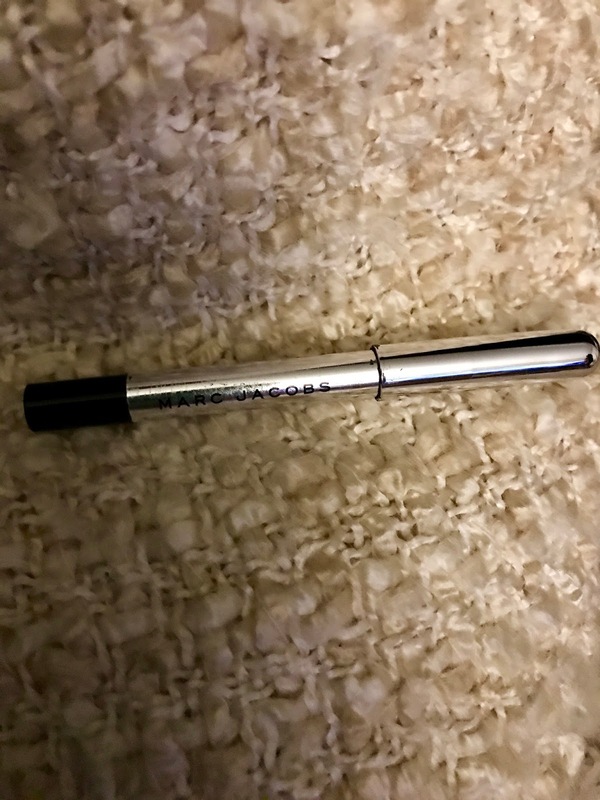 This Marc Jacobs eyeliner in black was part of a Sephora birthday gift and I am so sad to see this go! It was amazing and I can't believe it's gone. I think I may have to buy more in the near future because it is probably my favorite eyeliner I've ever owned. 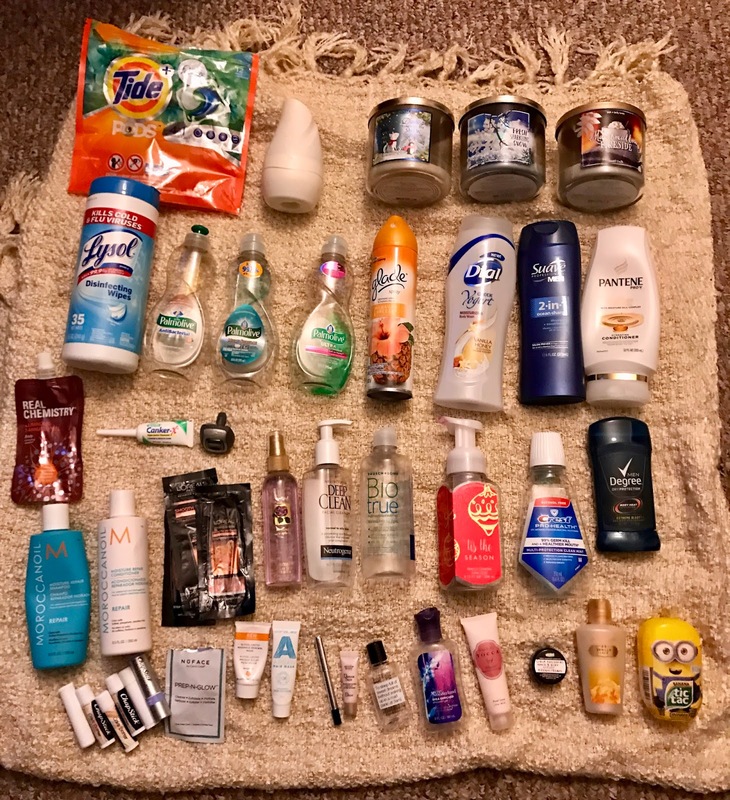 I have three mini lotions that were in the bin. Victoria's Secret Vanilla Lace lotion sat in my desk drawer at work and I really did like it. 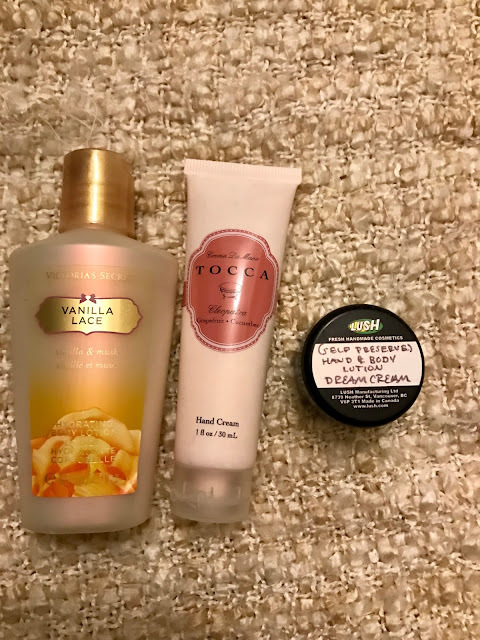 I'm not a huge fan of Victoria's Secret lotion because I feel it's a little greasy but I did really like the scent. The Tocca Grapfruit and Cucumber lotion I have to toss because it was just so gross. The smell was terrible and the lotion made my hands sticky...I just couldn't handle it. The last one is a mini sample of LUSH Dream Cream which is one of the best lotions ever. I really enjoy it because it's so simple and I love LUSH products just for their brand- pretty much everything they make is great. Two mini shower gels are complete. The first is the Soap No Glory from a set I received last year, it was the purple colored one and I really liked it. The lavender scent was very relaxing and I enjoyed it. 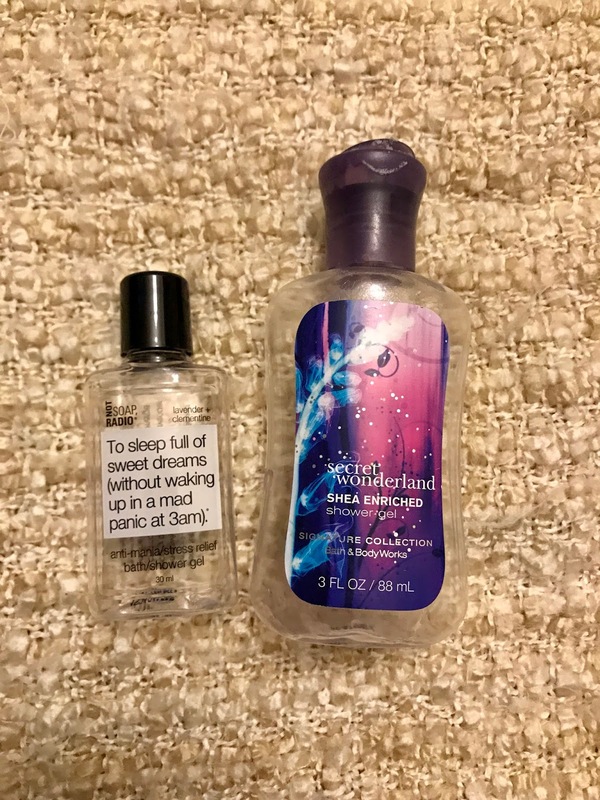 Bath and Body Works Secret Wonderland is a great shower gel and I would 100% purchase a full size in the future. I thought the scent was great and I always love Bath and Body Works shower gels. 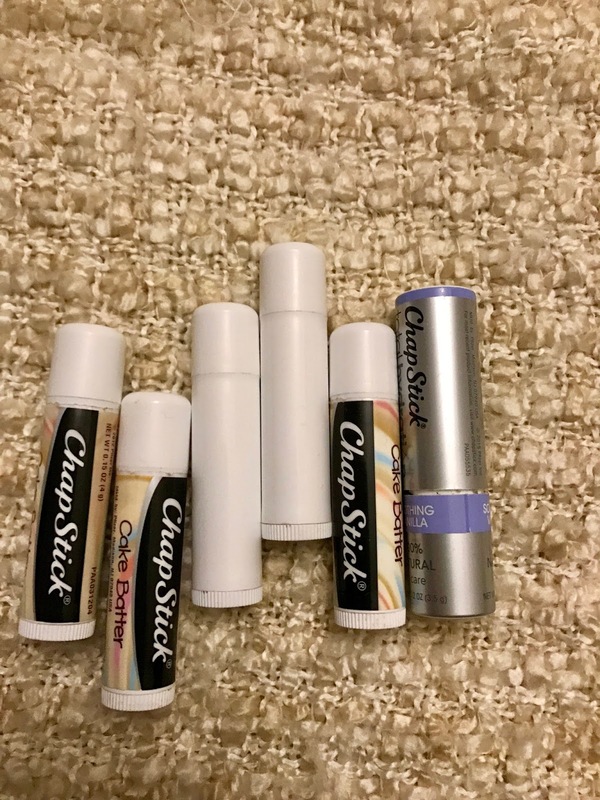 Lastly I have five Cake Batter Chapsticks and a Soothing Vanilla Chapstick. Love the cake batter and the vanilla was a nice backup! That's all the products that I've finished up lately and I am slowly working my way through all my products! What have you used up lately?